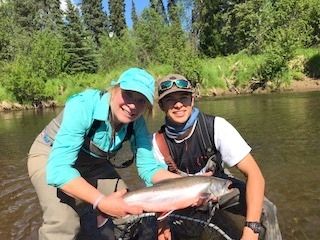 It’s T-minus 7 days until the first day of our 23rd season with Alaska’s Anvik River Lodge. And since our pre-season preparations or the beloved “hell month” has gone so smoothly this year many of us have had an opportunity to get out and do some pleasure fishing ourselves. 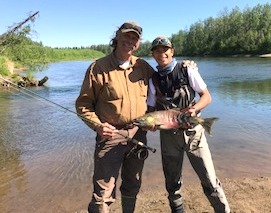 The first salmon run is just beginning and as you can see from the pictures we’ve caught tons of outstanding char and dolly varden, big beautiful grayling, northern pike, white fish, chum salmon and even a shee fish. So far the fish counts are really great and the weather has been better than expected too. 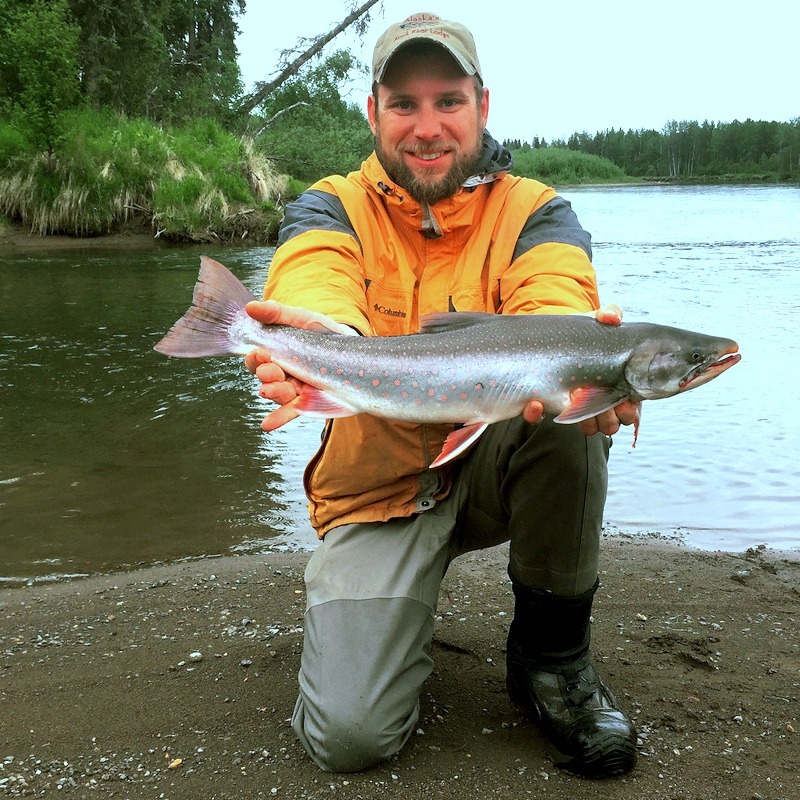 The Arctic Char/Dolly Varden fishing is out of the world this time of the year. Blair’s catch is a great example! Even boss man Cliff gets to go fishing once in a while. 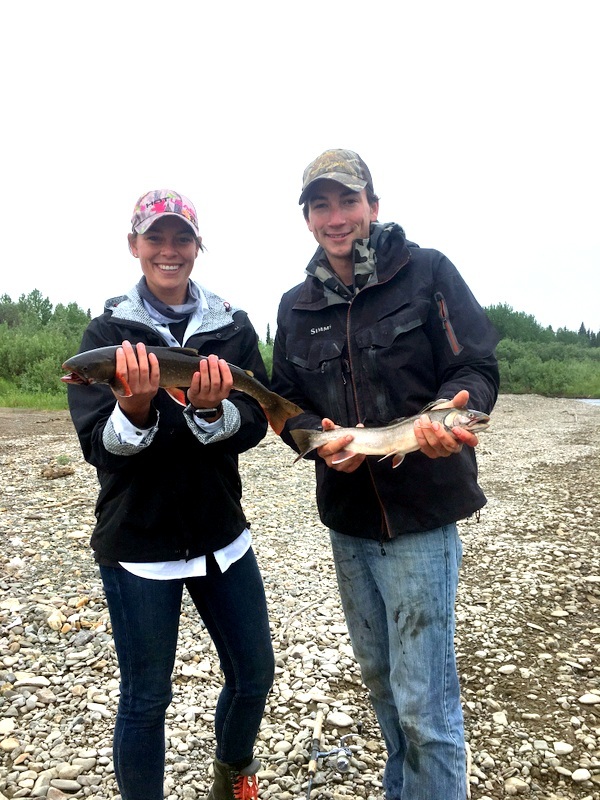 Staff members Shelby & Tug get out for some fishing fun on the shores of the Anvik River. JD & fiancee Chef Megan break away for a little fun in the sun. 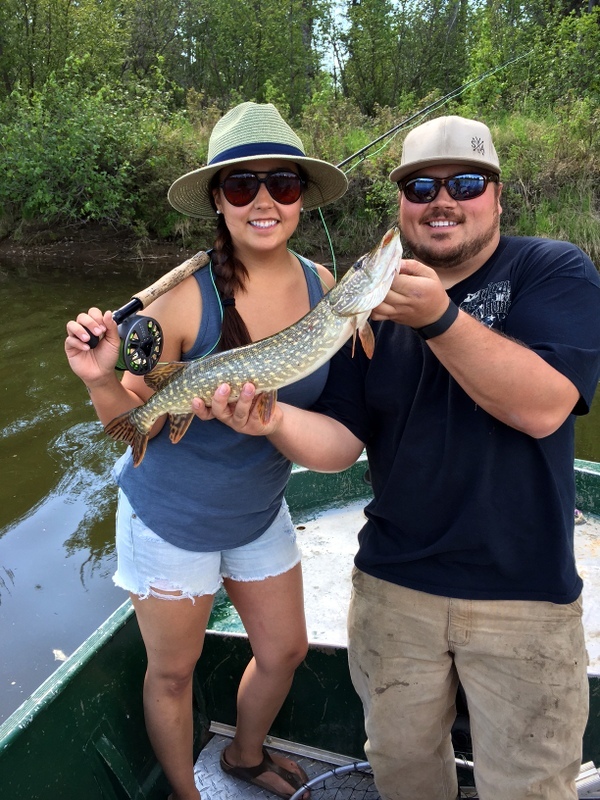 Megan caught her first northern pike on the fly – well done! While there were some forest fires close to the village of Anvik, we weren’t in any danger being 75 miles up-river. 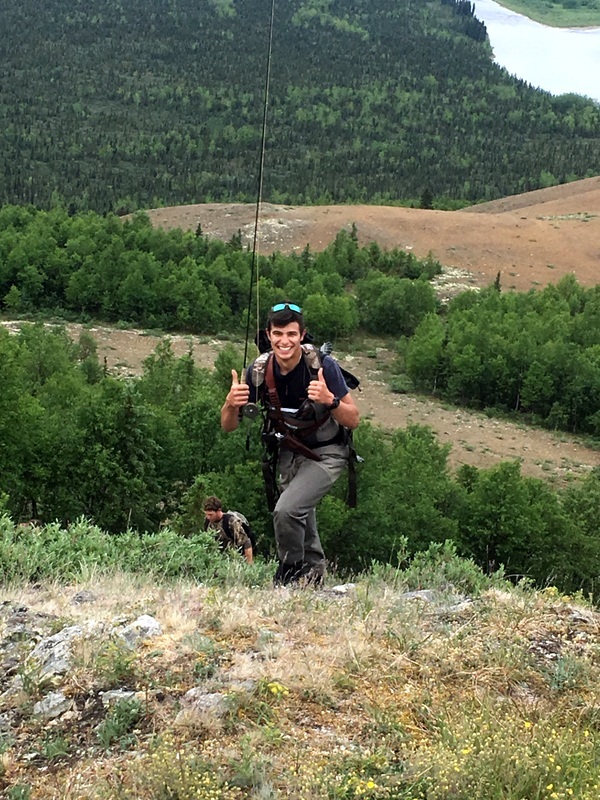 Had some smoke around for a few days, but the rains kicked in and cleared everything right up making a hike up the peak we refer to as “Egypt” a great adventure for some of the crew. New guide Nick Jr. hiking up Egypt in full gear, in search of yet another fishing hole – perhaps some of the guys were pulling a joke on him? 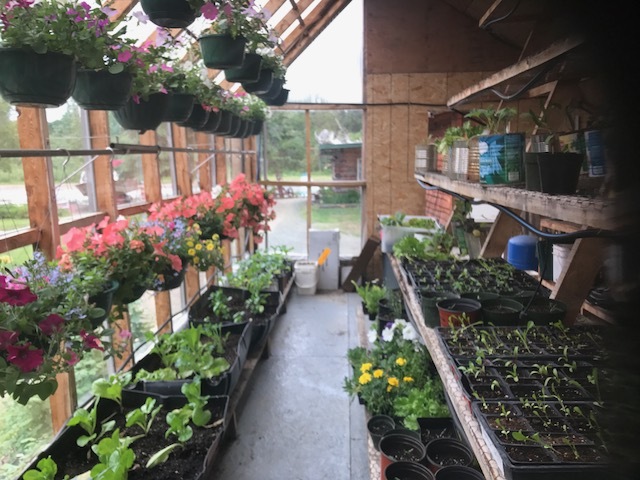 The garden and green house are going gang busters and the crew is right on schedule with cleaning and repairs. 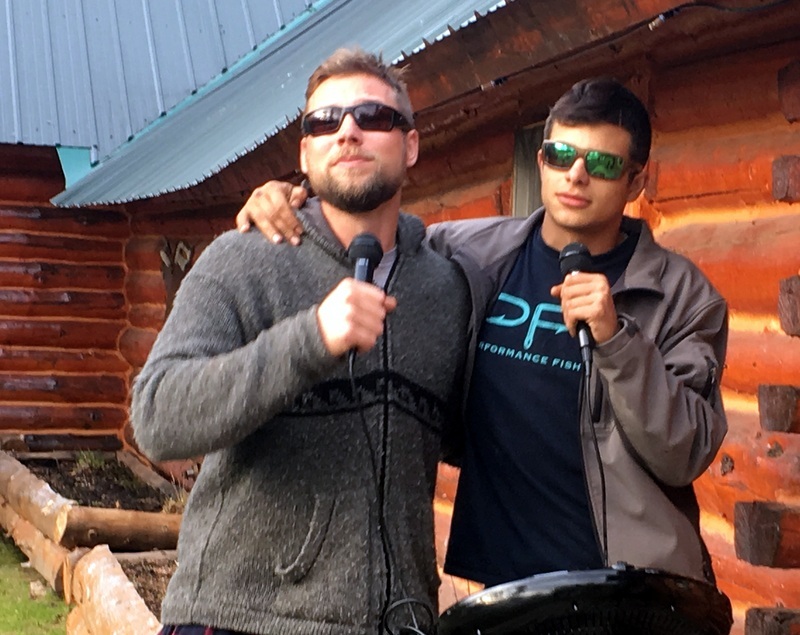 And as you can see, out here in remote Alaska, we have to entertain ourselves after a long hard day of work. 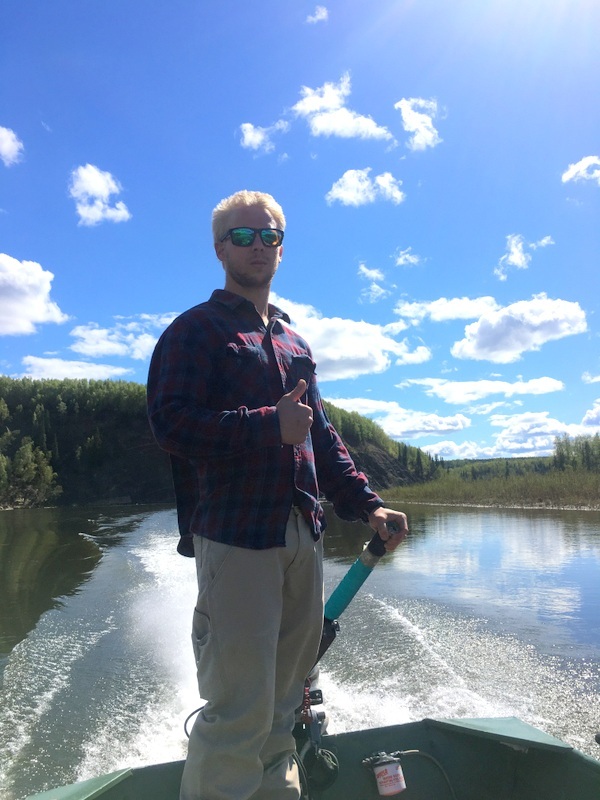 Seth out for a cruise on the Anvik River – what a beautiful day!! We’ve had some bear sightings and a few National Geographic type moments. Just yesterday we were out for a drift and saw a brand new baby moose calf standing on the bank of the river. It’s mother was up on the high shore above the calf and she of course beckoned her baby to get back up with her as we got closer. As we were watching the calf moose awkwardly climbing up the cut bank to mamma a mature bald eagle swooped by with a big grayling in its talons. It was quite majestic if I do say so myself. Here’s some great shots of the kitchen and housekeeping staff of the Anvik River Lodge showing their other talent – FISHING! 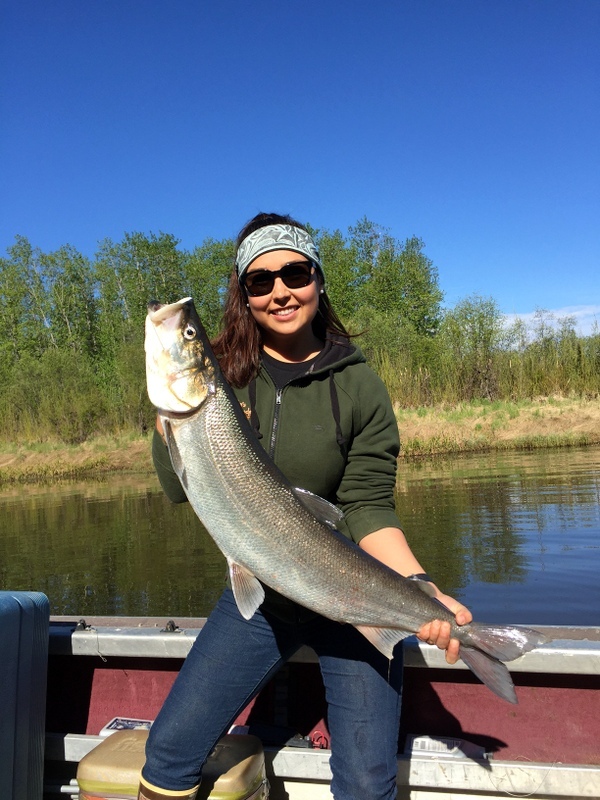 Chef Megan and an awesome Anvik River Shee Fish – what a catch! 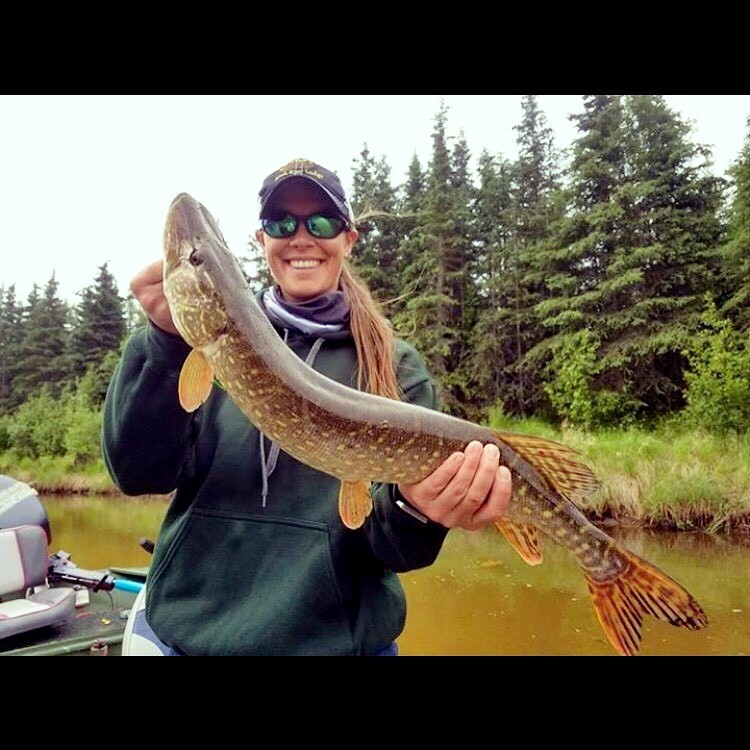 Look at that smile – this is one proud gal, Sundi Scott with her first Anvik River Grayling caught on the fly.